How is a SomniFix® Mouth Strip different from regular mouth tape? No residue left behind: Other adhesives leave behind sticky residue. Our strips don't. 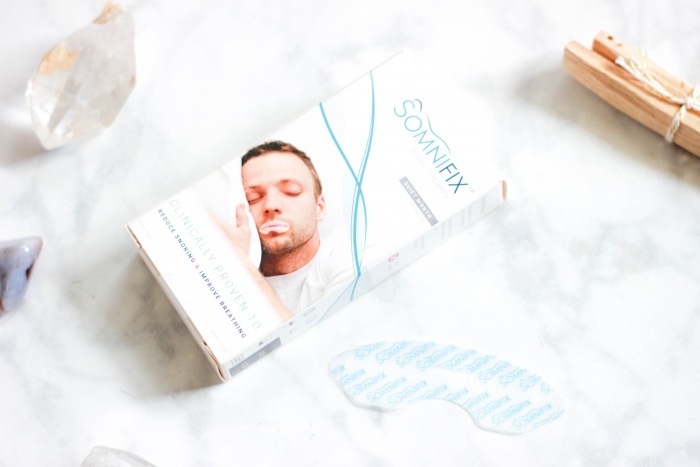 With SomniFix®, good breathing and good sleep comes with a small strip—a paper-thin, skin-friendly adhesive with a breathable vent carefully designed to keep your mouth shut but allow limited mouth breathing if necessary. During sleep, the mouth falls open, the jaw drops, and the tongue falls backwards. This creates an obstacle at the top of the airway that disrupts nose breathing, leading to mouth breathing and mouth snoring. With SomniFix® Mouth Strips, the mouth remains closed thoughout the night, and air is channeled through the nose. With the mouth closed, the tongue rests against the roof of the mouth and the jaw does not drop, leaving a clear passage in the respiratory airway for breathing. 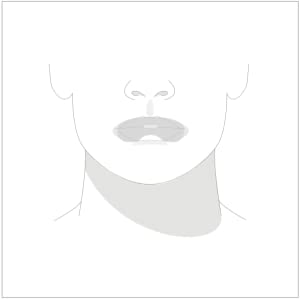 Why keep the lips closed? An open mouth during sleep–and then breathing through the mouth–contibutes to poor sleep quality and mouth snores. If you are a snorer who wants to test if our strips will work for you, close your mouth and try to snore. If you cannot, then you will see success with SomniFix® Mouth Strips. A simple strip over the lips to get great sleep? SomniFix® Mouth Strips ensure that you breathe properly all night. And proper breathing is the key to good sleep. 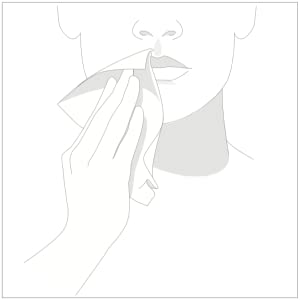 Wash and dry your lips and surrounding skin. Balms, oils, Lipstick, moisturizers, and makeup can weaken the adhesive. Remove the protective branded liner using the tabs. Close mouth, with both lips in full contact with one another. With the mouth closed, turn the lips inward slightly and apply the mouth strip as shown, positioning the central vent where the lips meet. + What are SomniFix Mouth Strips? SomniFix® Mouth Strips are a new form of sleep therapy that improves sleep quality by optimizing breathing patterns. + How do SomniFix Mouth Strips work? They gently hold the lips together with a skin-friendly, hypoallergenic adhesive to support the mandible (jaw) and tongue. 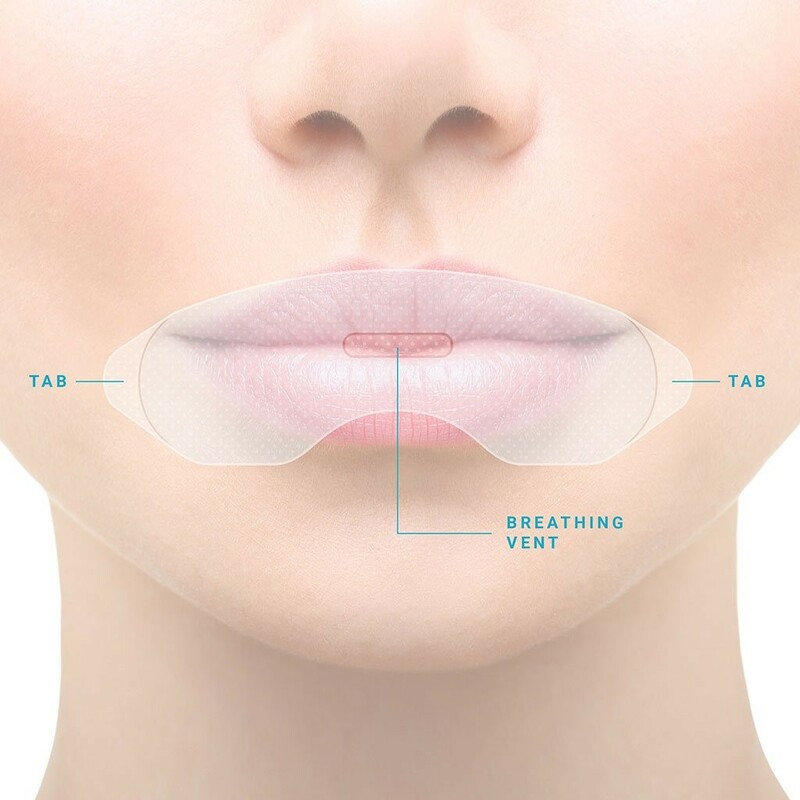 The mouth strips cause users to channel air through the nose to optimize breathing patterns. We humans are, after all, built to breathe through the nose. Somnifix® Mouth Strips make that a whole lot easier. + Who can benefit from SomniFix Mouth Strips? Mouth breathers who want to use their noses and mouth snorers who can comfortably breathe through their noses are perfect candidates for SomniFix Mouth Strips. You can find out if you are a mouth snorer with a simple test: open your mouth and try to snore; now close your mouth and try to snore. 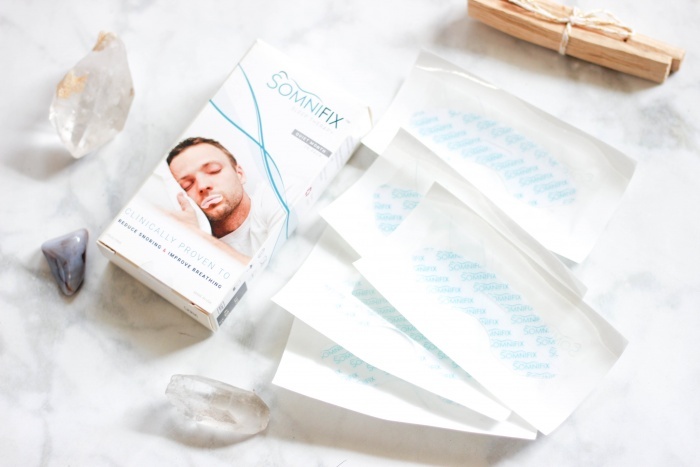 If you didn’t snore with your mouth closed, SomniFix Mouth Strips are for you. + What about for CPAP users? 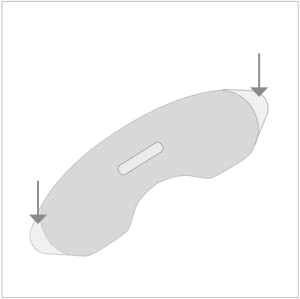 For CPAP users with a nasal mask or nasal pillows, SomniFix Mouth Strips can improve CPAP compliance by reducing air leaks through the mouth during sleep. + What are the exclusion criteria for SomniFix Mouth Strips? + Why is it important to address snoring? Simply put, snoring is a disorder. It causes fragmented sleep, meaning very poor sleep quality. It is often a precursor to sleep apnea, a serious sleep disorder that can lead to life-altering cardiovascular and cognitive disorders. Not to mention snoring is just plain annoying and embarrassing. + Why use SomniFix Mouth Strips? The nose is for breathing and the mouth is for eating. Mouth breathing is a physiological flaw that is not easily corrected in sleep without our strips. Even if you are sure you are a nose breather during sleep, consider our strips an insurance plan for optimal breathing. You may have seen other solutions that pull at your lips or leave residue behind. You won't have any of that with SomniFix Mouth Strips. + Are SomniFix Mouth Strips comfortable to wear? Yes. Our strip is flexible and fits all lip shapes and sizes. It uses a skin-friendly, hypoallergenic adhesive—users often describe it as a second skin. You won’t even notice that it is on while you sleep. It has also been extensively biocompatibility tested to ensure that it will not cause lip or skin irritation. And we've created a breathing vent, so you can mouth breathe, if necessary. + Is there a benefit to nose breathing instead of mouth breathing? Yes. Nose breathing is far superior to mouth breathing. The issue with habitual mouth breathing is that we inhale and exhale too much air (chronic hyperventilation). Hyperventilation leads to an imbalance in the carbon dioxide-oxygen (CO2-O2) exchange. The brain responds by stimulating mucus production to slow our breathing, causing the onset of nasal congestion. This, in turn, creates a vicious cycle that leaves mouth breathers unable to breathe through the nose. Nose breathing slows and optimizes breathing cadence, protecting us from hyperventilation. One of the great functions of the nose is that it acts as a filter for airborne particles in inhaled air. The nose warms and humidifies inhaled air, protecting the lungs in cold or dry environments. And the nose optimizes CO2-02 exchange, which in turn, ensures efficient use of oxygen in the blood. + What is the breathing vent for? Our central vent mimics the functions of the nose if you begin mouth breathing. First, the small size of the vent helps regulate mouth breathing cadence, so that it's similar to nose breathing cadence. Second, the mesh layer similarly acts as a filter for airborne particles. Our users want to know that they can breathe through their mouths if necessary. Now they can do so without compromising breathing quality. It’s also there so that users can rest easy knowing that they can mouth breathe if necessary. + Will I be able to take it off easily if needed? Yes, it dislodges just by forcibly opening your mouth (no hands needed). Our mouth strip uses a skin-friendly adhesive that painlessly and easily detaches if you need to remove it during the night for any reason. + Does it pull on the lips or leave sticky residue? No. Our adhesive is hypoallergenic and specially-engineered for lip contact. It is very gentle and leaves no residue. + On the first night, I took it off, does that mean I can’t use the strips? Not at all. Most users will need about 5 nights to become acclimated to using our strips. Because many of us are used to mouth breathing while sleeping, nose breathing all night takes time and training. Fortunately, the best conditioning is wearing the strip nightly until you sleep through the night with it. + I am unable to breathe through my nose. Can I use the strips? No. Because our strips encourage you to breathe through the nose, do not use the strips if you are unable to comfortably nose breathe. As a matter of fact, the inability to nose breathe is a sign that you should visit an Otolaryngology (ENT) specialist. + I notice that I default to mouth breathing through the vent. Is that normal? No. If your default breathing pattern while wearing the strip is through the central vent, then you should reposition the strip. To ensure that you default to nose breathing, turn the lips inward slightly while the lips are sealed when applying the strip. The breathing vent is there as a backup breathing option, and mouth breathing should be minimized. + Why won’t the strip stick? Ensure that you diligently wash and dry the lips and surrounding area, making sure that the area is void of any balms or moisturizers. Once the lips are dry, the strip will stick. Our specially-engineered adhesive is the first of its kind to be created for lip adhesion—but it is very gentle, so any lubricants will compromise the adhesive. + Can I use it more than once? No. SomniFix Mouth Strips are single use. Our strips are manufactured in a clean room and immediately sealed to protect from airborne particles and bacteria. After a night's use, the strip should be discarded (by recycling) to avoid introducing bacteria to the lips. + How many strips are in a box? Each box has 28 disposable (and recyclable) strips. + Are the strips latex free? Yes, the strips are latex free. + Are the strips gluten free? Yes, the strips are gluten free. + Are the contents of the box recyclable? Yes, the box, the pouches, the strips, and the liner are all recyclable. + What’s the verdict on mouth taping? The tape is released just with the force of opening the mouth. We developed our strips to include a breathing vent that mimics the structure and function of the cilia of the nose, filtering air and slowing the oral breathing cadence. Our strip is also gentle on the lips, dislodging easily and painlessly just by opening the mouth. As a bonus feature, it leaves no residue behind! If you haven’t heard that quote before, it’s the quick explanation for why I love mouth-taping so much. If you haven’t heard me talk about mouth-taping yet and you’re thinking, “What in the world is that? !,” let me explain. While making many life changes in order to focus on my health, hormones, work/life balance, and so on, one thing I’ve really been working on is optimizing my sleep. I’ve never been one to get enough sleep. Definitely never 8 hours. On average I’d get about 6, but in college that would range anywhere from 2 to 7. In high school, mostly 3-5 hours a night. That definitely took a toll on me. Most people don’t realize this, but waking up in the middle of the night “to use the bathroom” on a regular basis indicates that something is wrong. It’s not normal. As a practitioner, my clients’ sleep always gives me a big clue into something else that might be going on with their health. There are a few different reasons why someone might be waking up in the middle of the night, but it’s usually because of a spike in cortisol. This could be caused by a number of things – undereating the day before, eating too close to bedtime, overtraining, an underlying infection, general HPA axis dysregulation… the list goes on. Our autonomic nervous system has two modes – “rest and digest,” which is the parasympathetic state, and “fight or flight,” which is the sympathetic state. The sympathetic state comes into action when we are responding to a stressor, and this response is meant to be acute, not chronic. Our heart rate speeds up, blood rushes to vital organs and way from others, digestion “turns off”, our pupils dilate, and our bodies get ready to fight the stressor. The opposite happens when we are in the parasympathetic state. Obviously, our bodies are meant to be in the parasympathetic, “rest and digest,” state when we are in our ultimate state of rest – sleeping! We all know that good quality sleep is incredibly important to our health for a number of reasons – it is when our bodies and brains rebuild, repair, and recover. Sleep is when the body is REALLY getting to work! It is one of the most overlooked aspects of reaching any health goal. The way that we breathe affects the state our body is in. Breathing through your nose actually puts your body into that calm and relaxed parasympathetic state, and that’s why it’s optimal for us to breathe through our noses when we sleep. When we nose-breathe, it keeps our bodies in the parasympathetic state so it can actually “rest and digest” and carry out all of the processes necessary to recover. Mouth-breathing, though, can put us back into the sympathetic state. Turns out, this is why I was waking up so often! I first heard about mouth-taping through my friend Mike Mutzel from High Intensity Health. He was on Straight Up Paleo podcast awhile back, and you can listen to his episode here. Mike is incredibly smart and I’m always interested in his recommendations, so I wanted to give mouth-taping a shot after hearing him speak so highly of it. He recommended Somnifix mouth tape to me, which was originally designed to help people with snoring, but turns out to help almost everyone improve their sleep in general. I don’t snore, but I had nothing to lose! I’m all about simple biohacks, so I was really excited to try the Somnifix. I was a little nervous at first to tape my mouth shut while I slept, but I felt much better about it after I actually saw the mouth tape. You can mouth tape with any type of tape you want, really, but I only use Somnifix because it’s totally hypoallergenic and has been tested extensively to make sure it won’t irritate the skin. The adhesive was specifically designed for the lips so that it’s really easy to remove and doesn’t hurt, and it doesn’t leave a sticky residue when you take it off either. If you want it to come off, all you have to do is pop your mouth open! The big selling point for me, though, was that there is also a mesh-covered breathing vent in front that allows you to breathe a bit through the tape, if needed. Once I saw that, I felt better about trying it out while I slept. If I REALLY needed to breathe, I could simply part my lips a bit to do so. The first few nights were interesting. My body was definitely not used to having tape on my mouth, so I kept removing it while I was sleeping. I woke up with the tape somewhere else in my bed, wrapped around my thumb, and on another part of my face. After that first week, though, my sleeping hands left that mouth tape right where I put it! Once it stayed on the whole night through, I was shocked to find that I wasn’t waking up anymore multiple times during the night “to pee.” Because I was able to sleep throughout the whole night, I had REALLY deep sleep. Every morning, I can tell that my body gets into a deep state of REM the night before. I always vividly remember my dreams the next morning, and I wake up feeling SO rested. I also always sleep at least 8 hours now, unless under special circumstances, like having to wake up early because I’m traveling. I used to never be able to sleep 8 full hours even when I had the time to! Since using the Somnifix regularly, I feel so much better during the day because I’m getting such great sleep at night. I wake up feeling like I actually have gotten rest, and my brain feels much more productive the next day. My body, in general, just feels better. I feel like I recover better from workouts and have more energy during the day. It’s also really important for me to sleep because I’m still working on my gut health and hormones, and sleep is crucial for that. 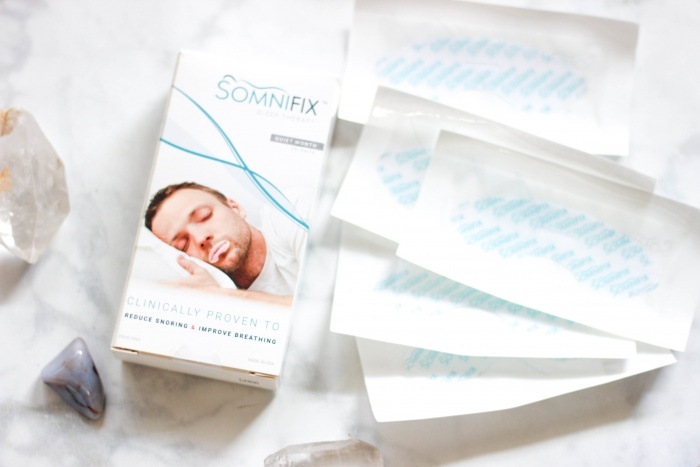 I use the Somnifix mouth tape religiously now, and I will not go to sleep without it. There have been a few nights that I didn’t put it on, and I woke up feeling like crap, to be blunt. It affects everything from my mood to my overall energy – I really notice the difference. Now that I know what it’s like to wake up after a good night’s sleep, I refuse to go back to a poor night’s sleep! After seeing how much one simple thing could transform my sleep and then have a huge impact on my overall life, I obviously wanted to work with Somnifix and tell everyone in my life about it. Mouth taping helps not only with keeping you in parasympathetic mode throughout the night (which might help you sleep soundly instead of waking up “to pee”), but also has a ton of other health benefits. In general, breathing through our noses is much more optimal than breathing through our mouths. Breathing through your nose can lead to quiet sleep, deeper sleep, a better regulated heart rate, more efficient carbon dioxide-oxygen exchange, nitric oxide production to boost immunity, reduced headaches when waking up, reduced nasal congestion and sore throats, better focus, stamina, and strength because of optimal breathing patterns, improved weight loss and digestion, and better memory. Breathing through your mouth while you sleep, however, can lead to dry mouth, sore throat, nasal congestion, snoring, lowered blood oxygen saturation, and worsened immunity. Let’s talk a bit more about those points, if you’re curious. Nose-breathing helps to lower your heart rate and adrenaline and improve blood oxygen levels, which means deeper sleep! It can also help if you have asthma or allergies. The nose warms and filters out air, but mouth-breathing sends cold, dry air to the back of the throat. The nasal passages try to fix that by secreting more mucus, but that can lead to more congestion and allergies, leading to more mouth-breathing. The cycle continues unless you break it. Nose-breathing can also protect your dental health and improve your breath. Mouth-breathing dries out the mouth and can negatively affect the oral microbiome, which also affects your digestive tract. Dry mouths have an altered pH and less saliva to protect against cavities, and the increased level of bacteria in the mouth can lead to bad breath. No one wants that. We also really need to talk about nitric oxide. We create 25% of our nitric oxide in the sinuses when we nose-breathe, and more nitric oxide in the body has been linked with improved athletic strength and endurance, weight loss, a reduction in anxiety and depression, stronger immunity, better concentration, sleep quality, memory, regulated blood pressure, and less arterial inflammation. During the day, it’s easier for us to notice if we are breathing through our noses or mouths, but it’s not so easy while sleeping. During the night, we are “paralyzed” for certain parts of our sleep, which is called atonia. This particularly affects the muscles around the mouth and neck. This is why the mouth tape is so helpful – it keeps our mouths shut instead of letting them fall open, which also impacts where the tongue falls in the mouth. I really think this should be part of almost everyone’s nightly “sleep hygiene” routine – the way that we should all brush our teeth before bed. If you’re ready to try, give it a few days or weeks to get acclimated to the mouth-tape. After that, get ready for a lifetime of better sleep. If you have a medical condition that makes it so you physically cannot breathe through your nose, then you should not be taping your mouth shut while you sleep. You need to breathe! However, most of the population CAN breathe through their nose. If that’s you, I HIGHLY recommend trying out Somnifix mouth tape! It has seriously changed my life. I’m proud that Somnifix is a sponsor of both of my podcasts, and grateful that I have an amazing discount code for you to get 15% off! You can use the code “CRWSLEEP” for 15% off – and you can order right from Amazon. 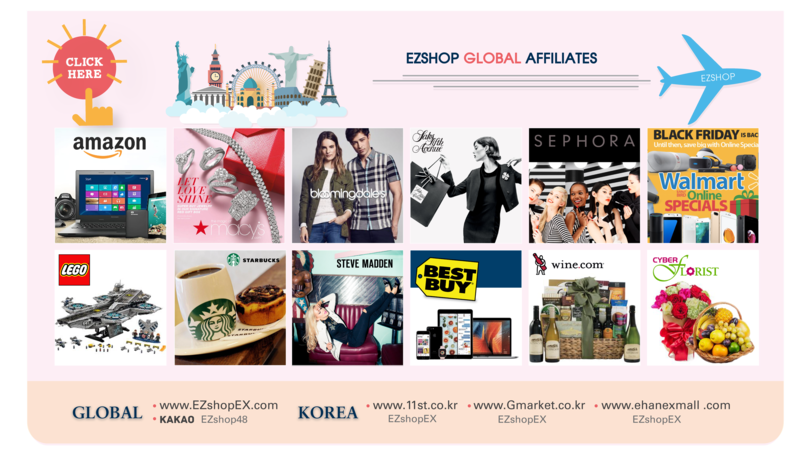 If you decide to buy a box and try it out, I would love to hear about your experience. I also love seeing your mouth-tape selfies, so if you snap a picture, be sure to tag me! Happy sleeping!